Recognized twice as Scotland’s “Live Act of the Year,” Skerryvore is a eight-piece band creating a fusion of folk, rock, traditional Scottish music and Americana that represents all of the eight individual band members. 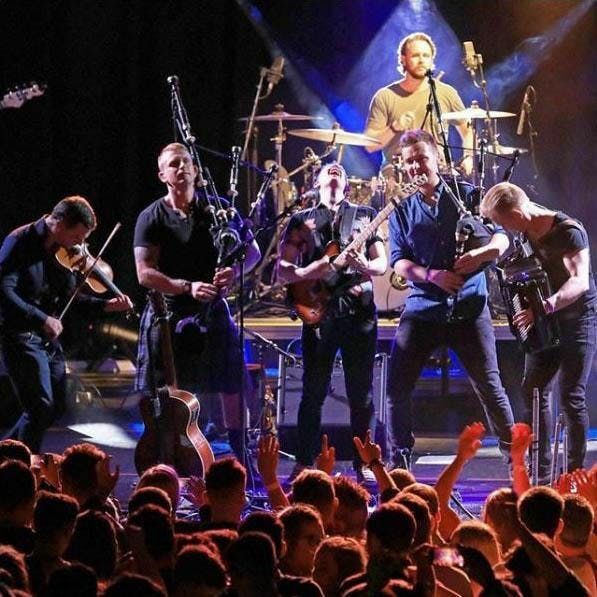 Since releasing their third album, this Scottish band has received a string of prestigious awards and performed at arts centers and festivals all over the world. Fans of country will love this group’s ability to blend beautiful harmonies with strong vocals, fiddle and guitar. Doors open one hour before show time. Arrive early and enjoy a glass of beer or wine. All seats are no charge with general seating on a first come, first served basis. RSVP to attend.